Okay, ladies. I am going to give it to you. The 411. The dirt. The scoop. The real deal. The truth. Here goes. Deep breaths… Being an entrepreneur is hard, hard work. But with the right steps and plans, you can absolutely do it, and thrive while you’re at it. Walk with me, I’ll explain. You know how in Legally Blonde, Warner, surprised to see Elle on the first day of law school asks her “You got into Harvard Law?” And she, in the most perfect comeback of perhaps all time, responds “What, like it’s hard?” See, the thing is. Getting into Harvard is hard, and it was for Elle. But because she put in the time and the effort, her hard work paid off; she got into Harvard, and she was allowed to be sassy about it. Let Elle be your inspiration. Even on your worst day as an entrepreneur, you want to be Elle Woods in that moment. In order to earn that mindset, you must prepare. You must put in the work. You must be dedicated. You must want to build a successful business, and not just another job. Put together an inspiration board. Write in a journal. Listen to podcasts. Read business plans. 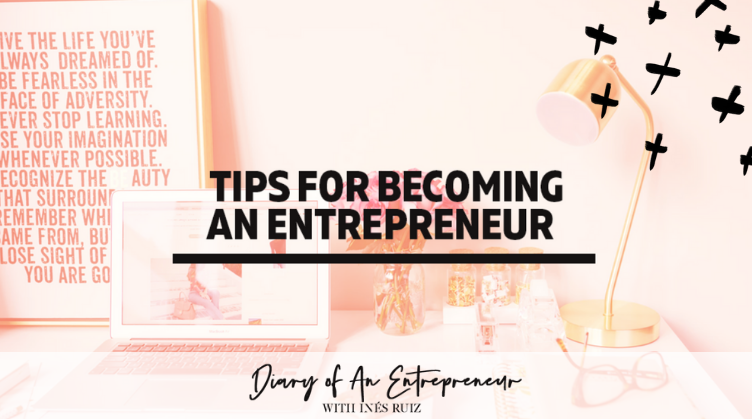 Do anything and everything in your power to seriously map out your business. Ask yourself the tough questions. Hold yourself to a higher standard. Know your business in and out. No matter which way you cut it, starting a business is expensive. Even with the best product or idea in the world, it’s going to be hard to turn a profit at first. Plan for the best. Prepare for the worst. Going into business on your own does not mean that you have to do everything alone. In fact, you shouldn’t. Before you officially start your business, reach out to your former college professors, business acquaintances, mentors, etc. Ask for their advice and input. Sometimes it takes another set of eyes to see even the most obvious of mistakes. Marketing is going to be a huge part of your business’ success. Will you do grassroots marketing? Will you focus on the internet and social media? Will you hire someone to handle your marketing, communications, and public relations? Will you outsource to a firm or agency? Will you do it all yourself? …that’s you. You’re the number one. Remember that your business will only do well if and when the captain of the ship is taken care of. Don’t run yourself ragged and ignore your own self-care. Success comes to those with patience.